The Boston model has evolved and developed considerably over the years. It was originally conceived as a continuo with pedals. However, a desire for increased versatility has driven many of the changes seen here. 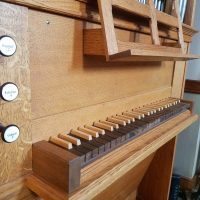 The new version is inspired by historic Positive organs of the late seventeenth century, but the permanently coupled pedal increases the flexibility of this little organ. The Sesquialtera has been separated into individual stops. All stops are divided below Middle C (or C# as selected by the organist) to allow solo and accompaniment voices to be played on a one-manual organ. The keyboard proportions encourage accurate fingerings and phrasing in practice and performance. 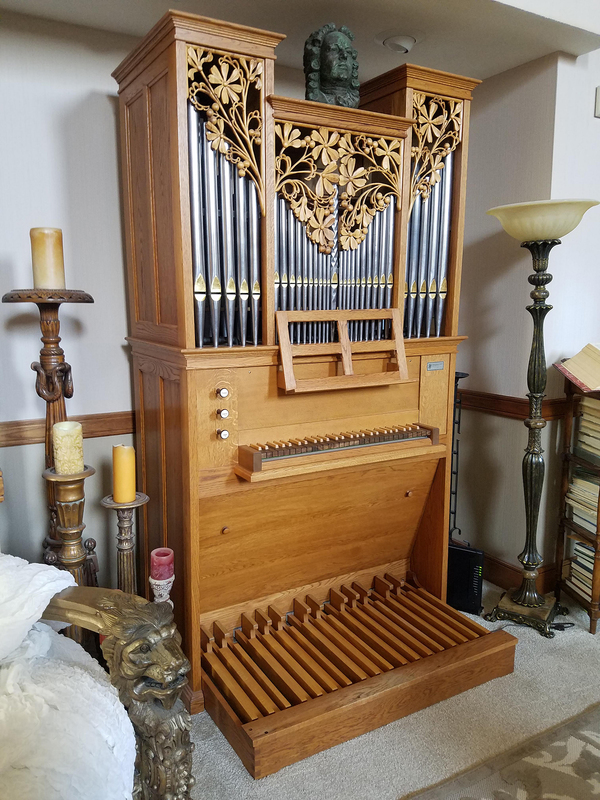 Your organ can be enhanced with additional decorative mouldings, carved ornamentation, or hand-painted doors to cover the facade.